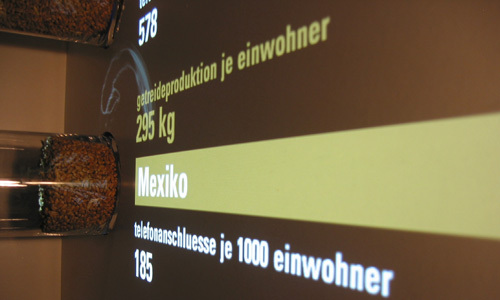 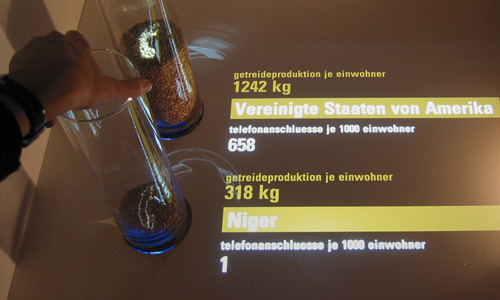 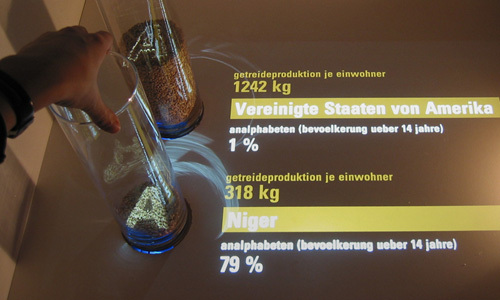 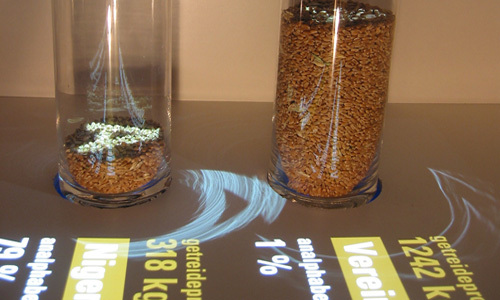 The interactive installation »ce.real« provides a new way to explore statistics through an experimental interface. 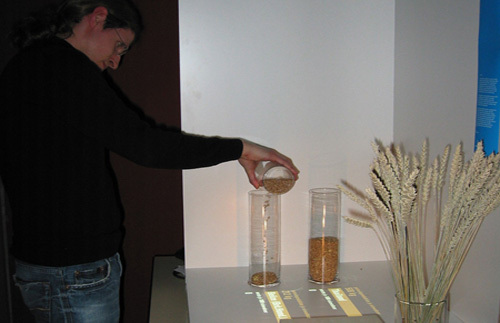 Grains represent values of the worldwide production of cereals. 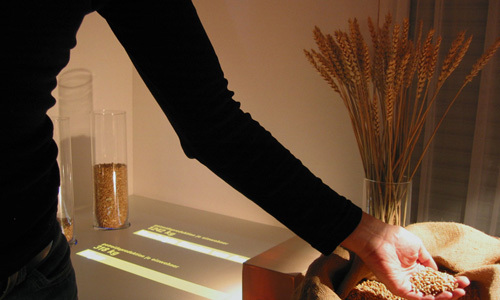 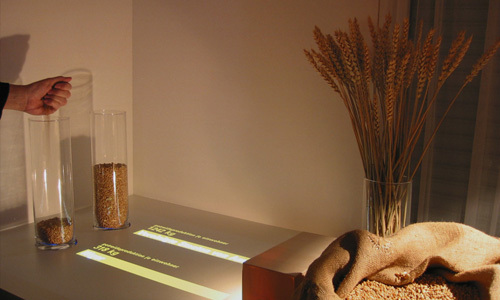 The grains serve as a display and as an interface. 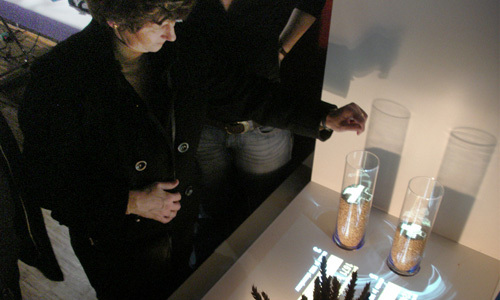 The user fills the grains into the glass-tubes by hand. 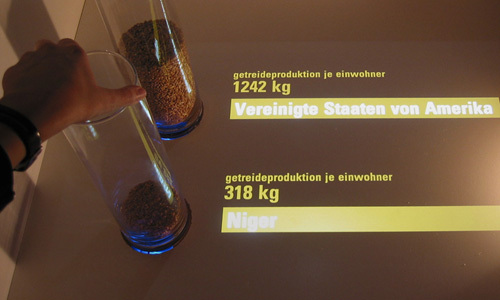 Subject to the quantity of grains the corresponding country is determined and displayed. 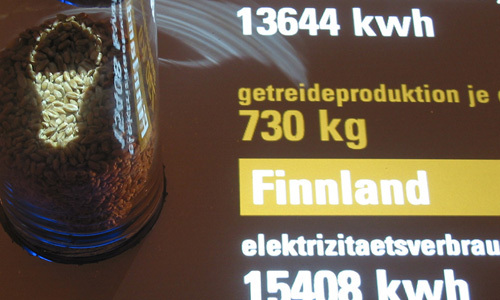 By rotating the glass tubes, other data such as the level of energy consumption relating to a specific country can be queried.